With an ever-increasing frequency, primary care organizations are seeing more patients who have multiple comorbidities. A patient with a poorly-controlled physical chronic disease and a mental health comorbidity can not only decrease quality outcomes through compromised care, but increase costs as well. 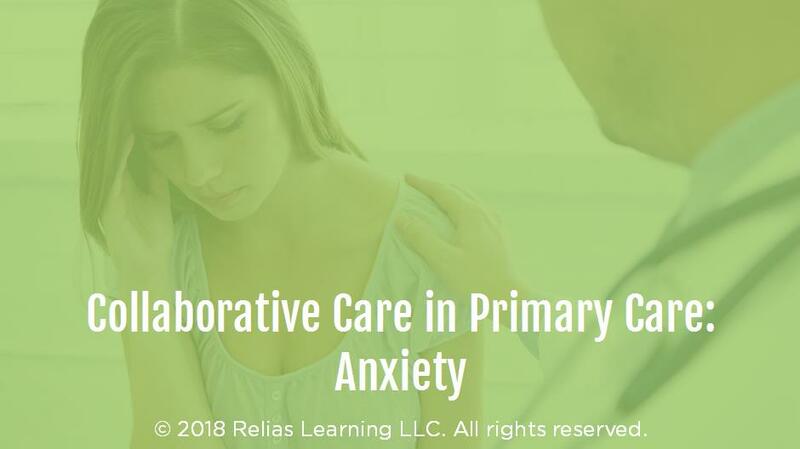 This module will explore collaborative care practices of patients with poorly controlled chronic illnesses who are also living with anxiety. Describe how mental illness may affect patient self-care. Apply medication management techniques in patients with common comorbidities. Discuss the relationship between anxiety and other common comorbidities. Discuss the principles of collaborative care. Brian Schief, MD, is Board Certified in both general and forensic psychiatry. He is on the clinical faculty at Emory University School of Medicine and Morehouse School of Medicine, where he teaches medical students, residents, and fellows. He obtained his bachelor's degree at Brown University and his MD at Ohio State University College of Medicine. For eight years Dr. Schief has worked as a psychiatrist for the Counseling and Testing Center at Georgia State University, where he evaluates and treats students of the university, including traditional and non-traditional undergraduate and graduate students. In addition, for 10 years he has worked at Georgia Regional Hospital, where he is the Associate Clinical Director of Forensic Psychiatry. At this facility, he assists with directing the clinical treatment programs, supervises other psychiatrists, and evaluates and treats patients that have been ordered to go to the hospital by the court. At times he is called to testify as an expert witness in State and Superior Courts in metro Atlanta. Disclosure: Dr. Brian Schief has declared that no conflict of interest, Relevant Financial Relationship or Relevant Non-Financial Relationship exists. The target audience for this course is: Nurses; Physicians; in the following settings: All Healthcare Settings.